The sliding glass door....the oddball window in almost every home, combined with being one of the most frequently used, can make covering it a challenge. 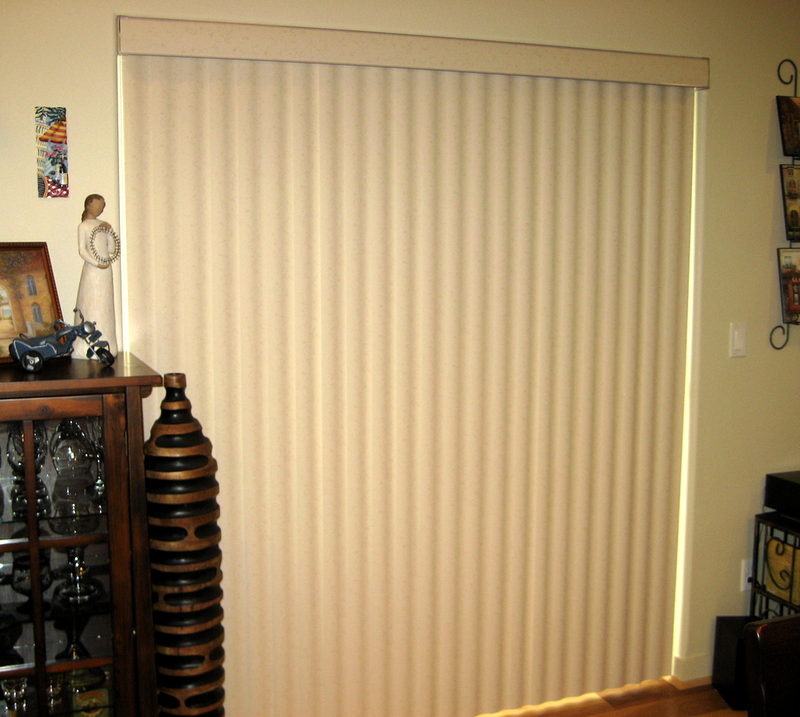 Vinyl verticals with a variety of patterns and colors are a practical option for families with children and pets as they are forgiving when abused and easily cleaned. They also come in a fabric vane option for a softer look. Other options are available for those of us who are just done with this type of blind. We can match the covering for this door to ones you are already using in the adjacent windows. A vertical honeycomb will traverse back and forth just like your door by using the handle on the leading rail. 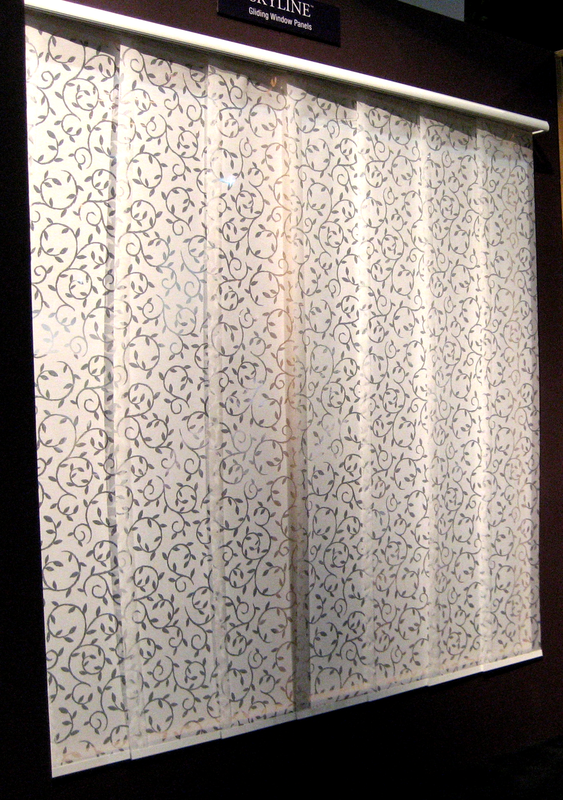 A panel track style comes in large panels of all the fabrics that you used for your roller shades and can stack back on one side or open in the center. 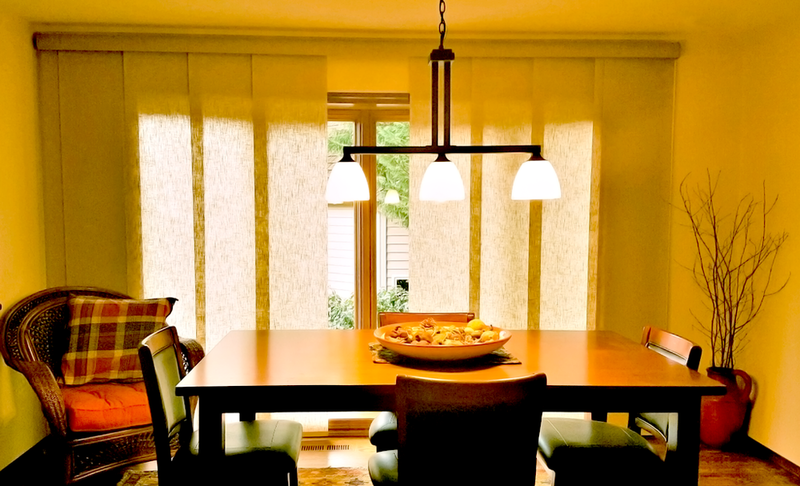 A Luminette style is the vertical counterpart to the Silhouette shade and offers the daytime privacy of a sheer with the ability to turn and close the interior vane for privacy. Last but not least, use a drapery to bring in pattern and color and beautiful hardware finishes.